We recently paid a title loan off for a new customer and were able to drop their payments from $830/month to $265/month for a saving of $565/month. The Nampa office was the flagship office for Canyon Financial here in the Treasure Valley. This office opened its doors in 1998 with the idea of helping people in the subprime market have access to affordable lending while building relationships that have spanned 20 years for some customers. These relationships are founded on honesty, respect and friendliness that transcends just business. Stan, who originally opened the Boise office back in 2000, took over management of the Nampa office in 2002 and 19 years later is still at the helm. 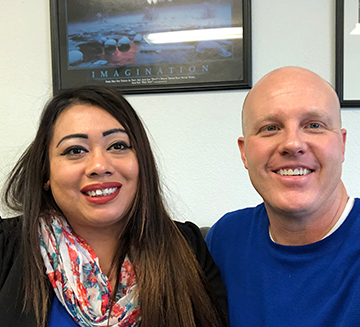 Melissa joined the Nampa team in 2016 as the customer service representative, and together with Stan, the Nampa office offers secured loans and delivers outstanding customer service. If you need a loan that is completely different than you see in the corporate jungle and have collateral…come see us at Canyon Financial and let us see if we can help you out and join our family of customers. Boise Financial and Loan Services – Bad Credit Loans and Quick Cash Included!